When researching my book, FEAST OF SORROW, one of the fun bits was trying out various ancient recipes. The book is about Apicius, a first century Roman whose name appears as the title of the oldest known cookbook. One of the recipes in Apicius is for Parthian chicken. Parthia was part of ancient Persia, now in a region of north-eastern Iran. Much to my delight, it turns out that the Parthians really knew how to make chicken. Hands down this is one of the best chicken dishes I've ever had. It's juicy and tender with a perfectly crispy crust. The original recipe calls for a spice called silphium (also called laser) which went extinct in the first century. Emperor Nero is rumored to have had the last sprig. Asafoetida powder or resin, common to Middle Eastern cooking, is believed to be the closest approximation to the taste. If you can't find that, just substitute garlic. This recipe was adapted from Apicius 6.8.3 by the highly knowledgeable food historian, Sally Grainger, who also translated the Apicius cookbook. The recipe can be found in her companion book, Cooking Apicius: Roman Recipes for Today. I've made a few suggestions and comments to the recipe. 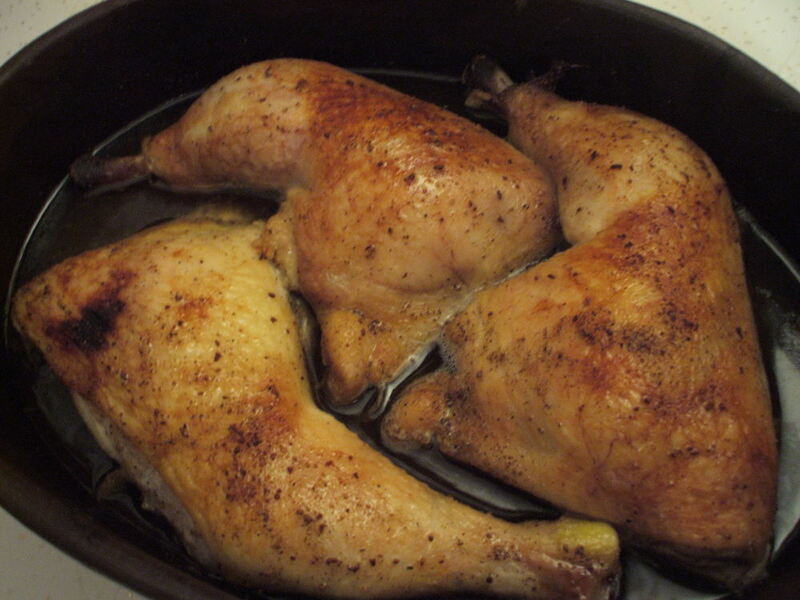 Prepare chicken and place in an oven dish. Dry-roast seeds and asafoetida until they give off their aroma. Grind them to a powder with the pepper. If using garlic instead of asafoetida, add it to the liquid mixture later). Mix the spices, wine, olive oil and fish sauce. Pour over the chicken. Put it in the oven and roast as normal until crispy and well done and the juices run clear. Baste the chicken often during cooking.